You are met at Johannesburg Int. 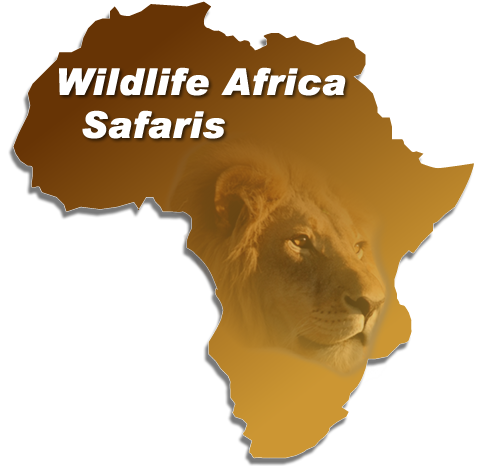 Airport by a Wildlife Africa representative who will handle all documents and travel journal for your trip. 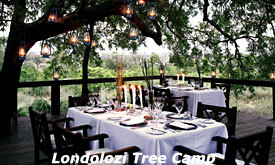 You are taken to a private Lounge awaiting the Federal Air Charter flight to Londolozi Game Reserve. 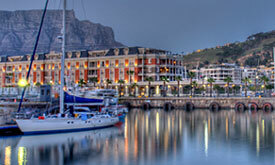 On arrival you are met and transferred to the Anglo American Hangar just a few meters from Federal Air. 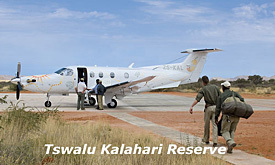 Depart at 13H00 on a direct flight to Tswalu. 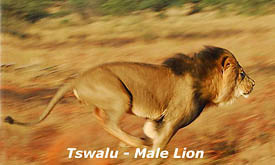 You are met on arrival and transferred to Tswalu Motse Lodge for 5 nights. Your accommodation at Tswalu includes Three meals a day, teas and coffees, two game drives in open land rovers, refreshments on game drives, Nature Walks, Horse Riding, Soft drinks, house wines, local brand spirits and beers. 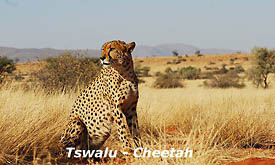 Safari travel takes on a whole new meaning at Tswalu Kalahari. Here, in the luxury and beauty of this magnificent malaria free 100,000ha private game reserve, the focus is on you, and it’s all about reward… pampering, gourmet cuisine, superb wines, safari, and getting to do the things you’ve only ever dreamed about. You will be treated like royalty from the moment you arrive at the private hangar at Cape Town or OR Tambo International Airport to board the luxury Pilatus PC12. And when you touch down on the Tswalu airstrip after your comfortable flight, your personal field guide will be there to greet you with refreshments before the drive to The Motse. Your private three night stay at Tswalu has been tailored to include an exciting itinerary of interactive safari experiences, gourmet meals at various scenic venues, indulgent spa treatments and personal relaxation time. You will have the opportunity to spend a night under the stars at The Malori sleep- out deck, where a raised platform with a thatched overhang offers protection from the elements and a luxury king-size bed will ensure a good night’s sleep. You can choose to rise early one morning for an exhilarating game drive, with a delicious gourmet picnic to enjoy along the way, and the chance to see many species of game before they take cover from the sun. On another morning sleep late and indulge in a champagne breakfast in bed. You will spend time bonding with the meerkats at one of the established colonies, before they go foraging, and your guide will take you to track the desert black rhino and the black-maned Kalahari lions. Witness the sheer size and power of these animals and enjoy the playful innocence of their cubs. Afterwards enjoy a mouth-watering picnic while you view the bushman rock art on the reserve, including carvings believed to be up to 380,000 years old. One of the best ways to see game is on horseback. Enjoy a gentle ride on one of our comfortable, well-schooled horses and see the reserve from a different perspective. After an afternoon of riding, you’ll be treated to sundowners while youzwatch the magnificent spectacle of a Kalahari sunset from a camp set up for you in the dunes. You will Indulge in a boma feast, and a bush dinner, and a five course gourmet meal in our dining room, prepared by executive chef Theresa Fehrsen, whose inspiration comes from the freshest available local ingredients. Spend the morning tracking the endangered black rhino on foot with Africa’s finest trackers, followed by an afternoon of pampering in the award winning Tswalu Spa.